I am devastated and utterly saddened to share with you all the somber news of the passing of Volar, a cleric that got his start on Luclin with Five Rings before coming to Township Rebellion almost a decade ago. He always had a great spirit, a helping hand for anyone, and a positive outlook and attitude that inspired all of us here in TR, many people on Luclin, and in the EverQuest community. Already I have received an outpouring of memories and remembrances from around the EQ world of stories of Volar helping people get their epics, providing guidance, a listening ear, or someone to hang out with in the many hours he spent online. TR is in mourning for the loss of a true family member, and will always remember and keep the home fires burning on his behalf. He is survived by his wife, children and numerous grandchildren many of whom he helped raise over the years. 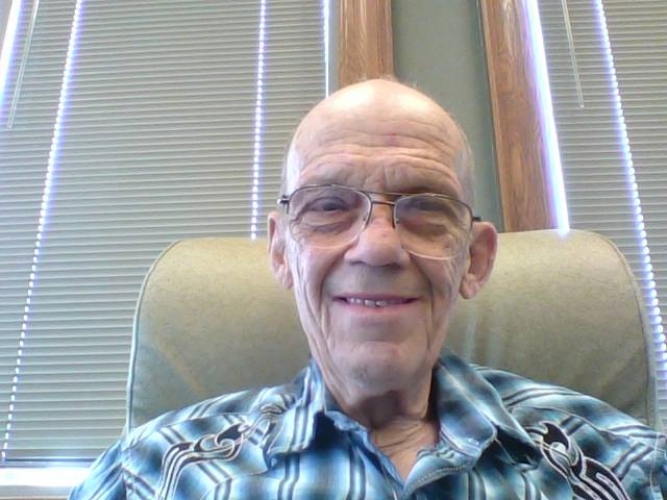 He was currently in Italy helping with a family member's illness and tending some of his grandchildren when he passed. Before retirement, Jack was US Navy, and served in the Vietnam War. We will remember his warm, hearty laugh, his ability to calm and bring folks together; his love of dogs, a good cup of coffee or a glass of wine, his family and all things Jack. Please light a candle, say a prayer for his family, send good vibes or whatever your believe system entails. His death was sudden; unexpected and so far from home, I can only imagine the sorrow and shock this has brought to his family. God speed, Jack, and Rest in Peace. You were like a father or brother to so many of us, and we will keep you alive in our hearts forever. Funeral and condolence information is not available at this time. 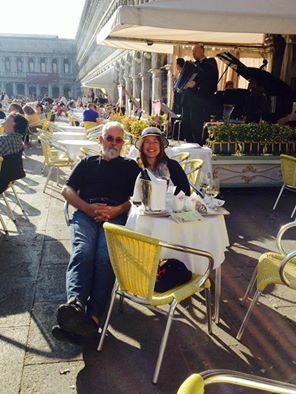 This photo was taken just a couple days ago in Italy visiting with his son's family. Sobewiz (Anthony), and Aaryanna (Adam). Adamma and Aaryanna, in game. Aaryanna (Adam) and Adamma(Mara), in real life. Aaryanna (Adam), Adamma (Mara), and Shadoz(?) at Fanfaire. Aaryanna, aka Adam Justin (AJ) Carroll, 1980 to 2013. Aj was raised in Ringgold Georgia and graduated from Ringgold High in 1998. After graduation he enlisted in the U.S. Marine Corps where he served our country for the next couple years and became a 4th award expert rifleman. He was an avid gamer, loved watching movies, zoning out listening to music while driving around, attending concerts, shooting his guns and hiking around in the outdoors when he could. His strength and determination was undeniable, as were his profound, unmatched skills he possessed in his gaming life. A true force to be reckoned with; He was a beloved son and friend to those he was closest with. 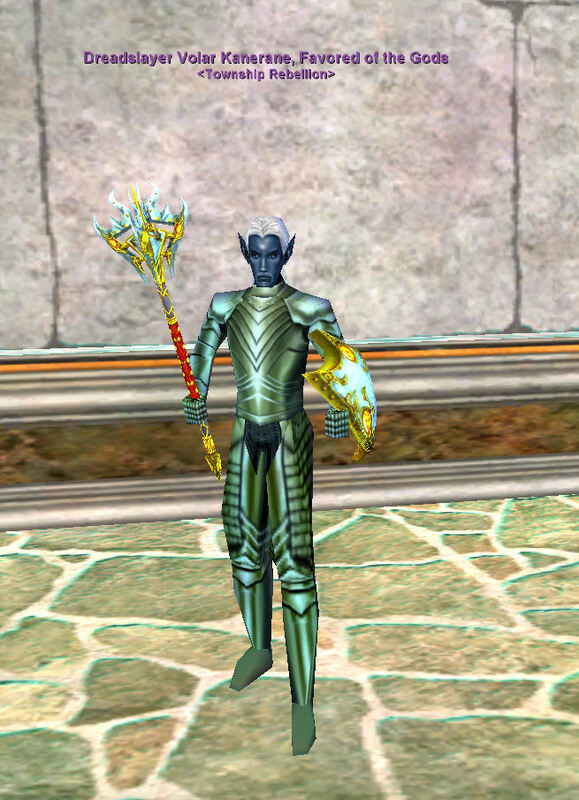 In EverQuest, Aaryanna, AJ's alter ego, was an enchanter who was known for running around as a violet sporali and was sometimes seen running around on his bard, Felixx. He originally applied to Township Rebellion in 2004, following his time in Enlightened Dark on Tarew Marr. As an enchanter, Aaryanna was virtually unparalleled in ability, whether it was hordes of wolves in demiplane, the entire tower of trash in convorteum, or just about anything else we threw at him. He was known for his rough and tumble manner and his ruthless demeanor if he felt someone crossed him. However, those he was close to, he was the sort to move mountains for despite his tough exterior. Rest well and peacefully, rebel, you will be remembered fondly as a fierce competitor and loyal friend. Everyone who has ever joined TR has had to basically hear the same speech, in one form or another, over the years, but we believe strongly in our core values. For the most part, we are a guild of adults with jobs and families, and we do things like take off holidays and give extra time off to spend with our flesh and blood families. We came together over a shared interest in a video game called EverQuest, and we've done alot of great things in our virtual world together. We are a group of great folks, who have spent way too much time together and have come to care for each other much like a second family. Just like in our actual families, there are tiffs and spats, and while we may give each other a hard time here and there, woe be the outsider who crosses us. We may not share the link of blood or bone; but we have the bond of a shared, committed passion, and everyone that passes through our halls becomes one of us, whether its for a few days, months, years, or now, decades. Unfortunately, as time passes, and we grow older, some of our online friends become fallen warriors. This page shall exist to serve as remembrance of them; honor their memories; and share our love for our companions with their families. Many of us are lucky to have extremely supportive, large families. Others have TR to fill that need. And while our group here may never meet their moms and dads, their brothers and sisters, children, spouses; or other loved ones; know that we loved them and remember them, and hope that our stories help you find solace and comfort. Thank you for sharing them with us.